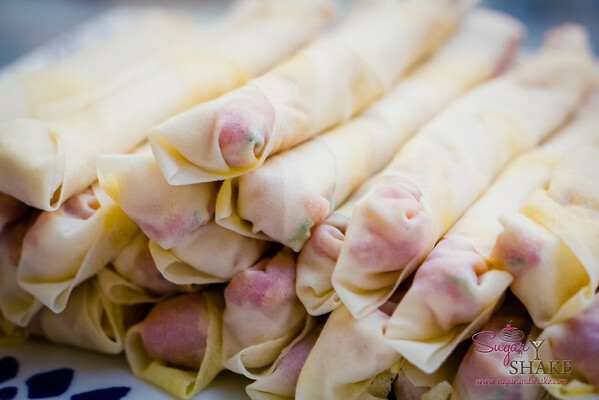 We will be missing Shake’s Mom on New Year’s Eve, her birthday, but we have started a new tradition to honor her memory: making her lumpia (Filipino egg rolls, aka “lumpies,” a family term) recipe on New Year’s Eve to share with my family on New Year’s Day. The lumpia are a nice addition to the other foods that we always have to eat with my family: ozoni (Japanese mochi soup), “Grandma sausage” (red ring bologna; my brother named it this because we always used to have it at our grandma’s house), sashimi, kazunoko and ikura (raw fish, herring roe and salmon roe). Let’s hope that this year my sous chef does not come down with a virulent 24-hour stomach virus. (Crosses fingers, knocks on wood.) That does not need to become a yearly tradition. Does your family have a special tradition to ring in the New Year?